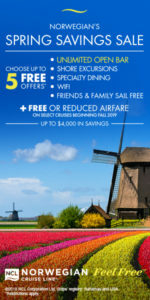 Destinations: 7-Night Eastern Caribbean Cruise– Choose from three unforgettable itineraries, featuring ports of call in St. Croix, Tortola or St. Maarten, and then continue on to St. Thomas/St. John and Castaway Cay. 7-Night Western Caribbean Cruise– Set sail for the exotic ports of Key West, Grand Cayman and Cozumel with a day at Castaway Cay. 7-Night Land and Sea Vacation – Start at the place where the enchantment never ends: the Walt Disney World® Resort, where all four Theme Parks are yours to enjoy, along with a select Walt Disney World® Resort hotel. Then set sail on a Bahamian voyage to Nassau and Castaway Cay. 3-Night Bahamian Cruise–Indulge in a magnificent weekend cruise great for both first-timers and those who love to sail to Nassau and Castaway Cay. 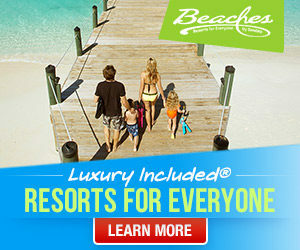 4-Night Bahamian Cruise – Enjoy fun-filled visits to Nassau and Castaway Cay with a relaxing day at sea. Product: Disney’s purpose-built ships offer a vacation for everyone, with separate areas and activities created for cruisers of every age. On our ships adults find excitement and indulgence, children have the time of their lives, families unite, and honeymooners sail into fairy-tale beginnings.